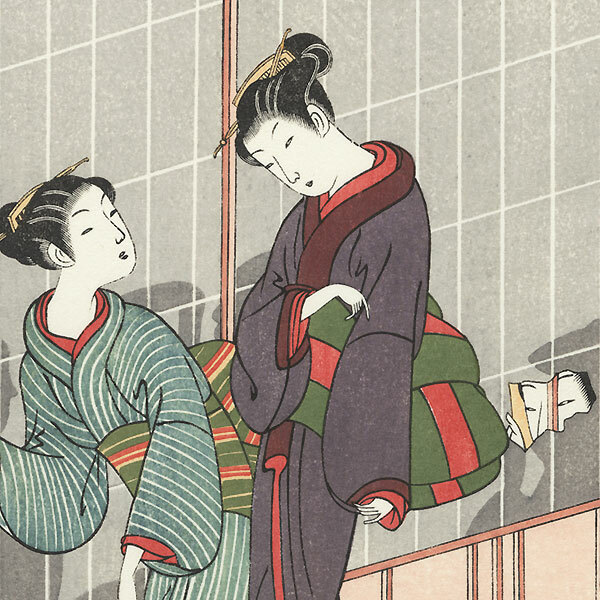 Comments - Charming reprint illustrating the pleasure quarters at Fukagawa. 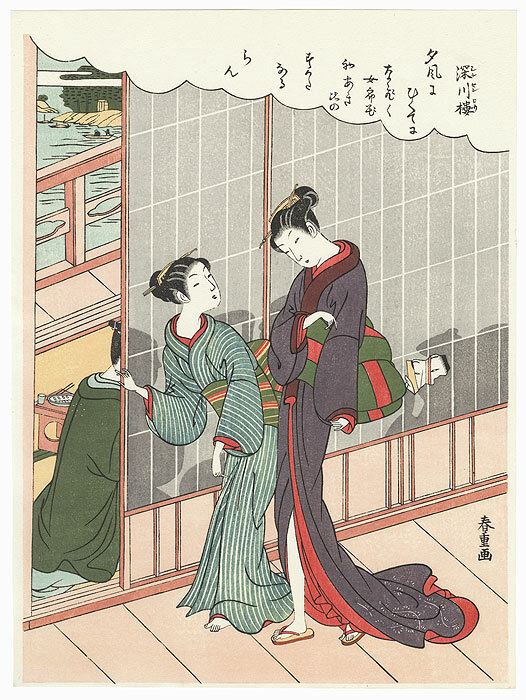 Two slender beauties pause outside a doorway to a room where seated men are enjoying refreshments. 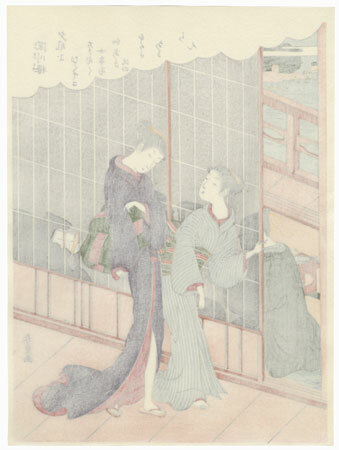 A samurai peers at them from a hole in the shoji screen. An intriguing image with attractive soft color and fine detail.